Are the Florida Keys bonefish disappearing? In my last post, I promised some photographs and stories in support of my conclusion that the Florida Keys bonefish are in peril. 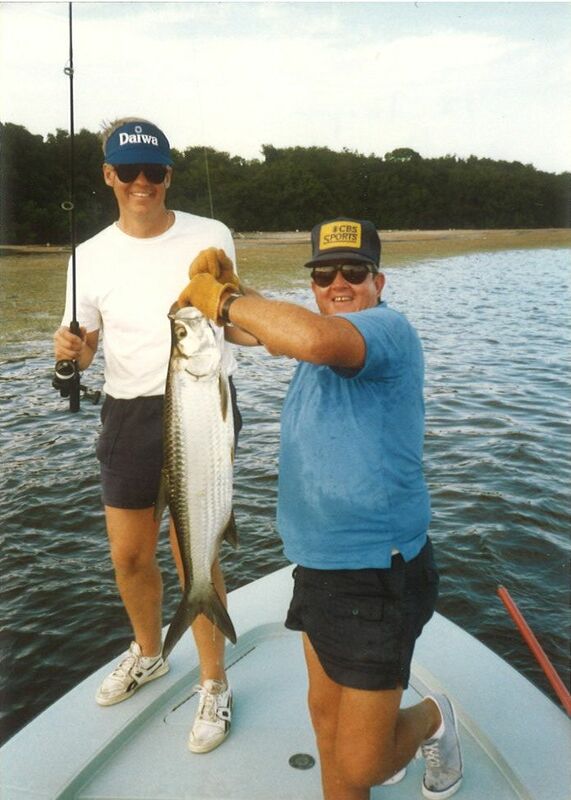 From 1988 through 2011, I experienced an annual weeklong trip to the Florida Keys with good friends and great guides. Every fishing day, our guides carefully considered the many variables that determine the best possible fishing location for that day. 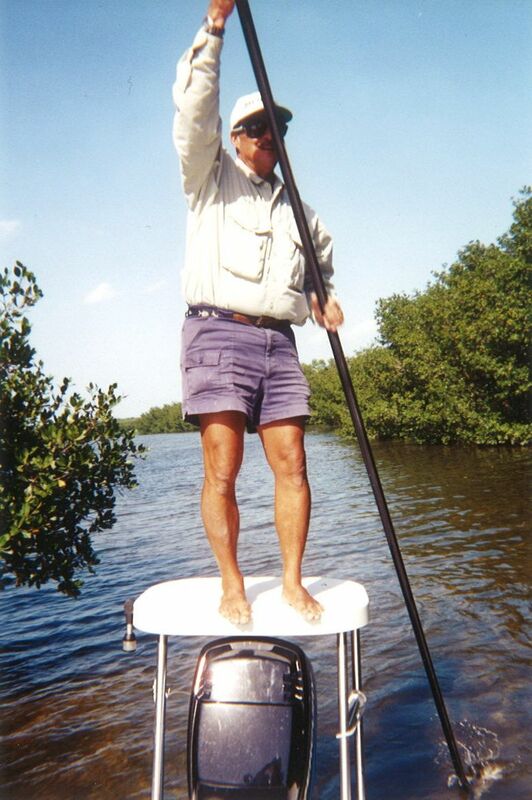 Although our home base was in Marathon, our guides would actually launch their flats skiffs from Key Largo to Key West or anywhere in between based upon their conclusion as to what fishing venue offered the best possible chance for fishing success depending upon the sun, wind, tides, and weather. 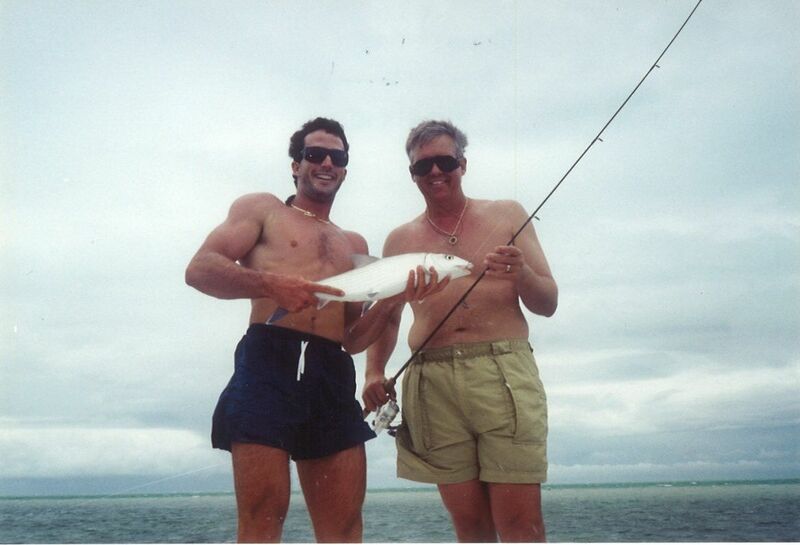 Over the 23 year history of our trip, we fished for bonefish throughout the entire length of the Keys. One of the largest bones we caught is pictured below. Our connection with guides such as Steve Huff, Dustin Huff, Dale Perez, Nat Ragland, Jose Wejebe, Harry Spear, and Ray Fetcher always provided us with the best guides the Keys had to offer. Their knowledge, experience, eyesight, skill, and effort gave us what we refrer to as “plenty of shots” to catch bonefish, permit and the occasional tarpon. 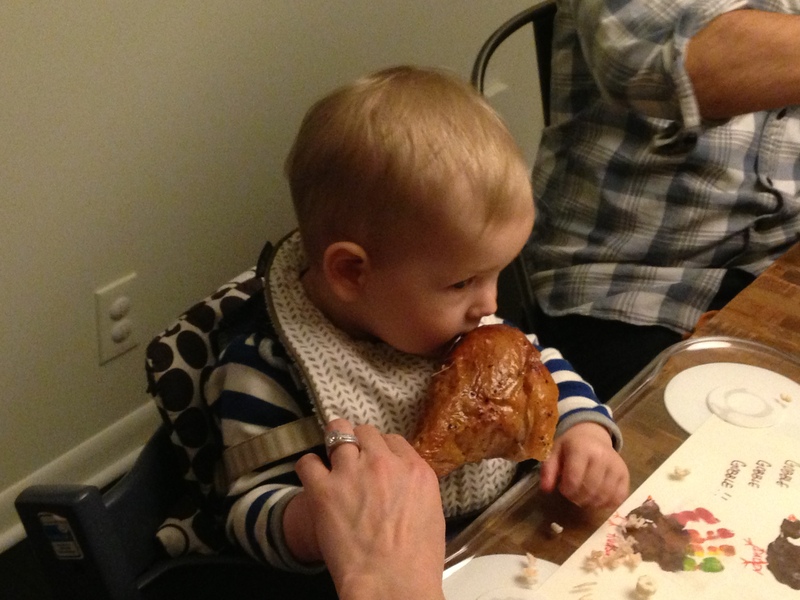 Our trip was typically in early November. We thought enough of these professionals to capture a few pictures. Not only were we blessed with great guides from a technical point of view, they were known to go above and beyond the call of duty! November 14, 1991 Warmest day yet! I fish Harry alone and Lee and Ralph fish with Steve. It is apparent early on that Harry feels he has gone to the well one too many times. We fish Rodriguez and Tavernier Keys and have a few tough shots. I do catch a 5 pound bonefish before lunch. Harry seems tired and actually a little depressed but still is working hard. At the end of the day, I can tell Harry is grasping for straws. We start poling a flat we name Lee Mitchell Flat, due to Mitchie’s great ability to catch small bonefish. Well, I outdid him on his own flat. In 15 min. I caught two 3 pound, one 2 pound, and another 1 pound bonefish. Had one eat a half shrimp that had been bitten off. Had several more shots but didn’t catch any. Put in that day at Harry Harris State Park. For the four day fishing week, I caught 8 bonefish and four permit for a great week of fishing. I have written the last page while waiting for Huff, Lee and Ralph to arrive. My prediction – they had fabulous fishing. We will see. Well it was! Mitchell caught a nice bonefish in the morning as did Ralph. They were fishing outside of Big Pine after putting in at Bahai Honda State Park. 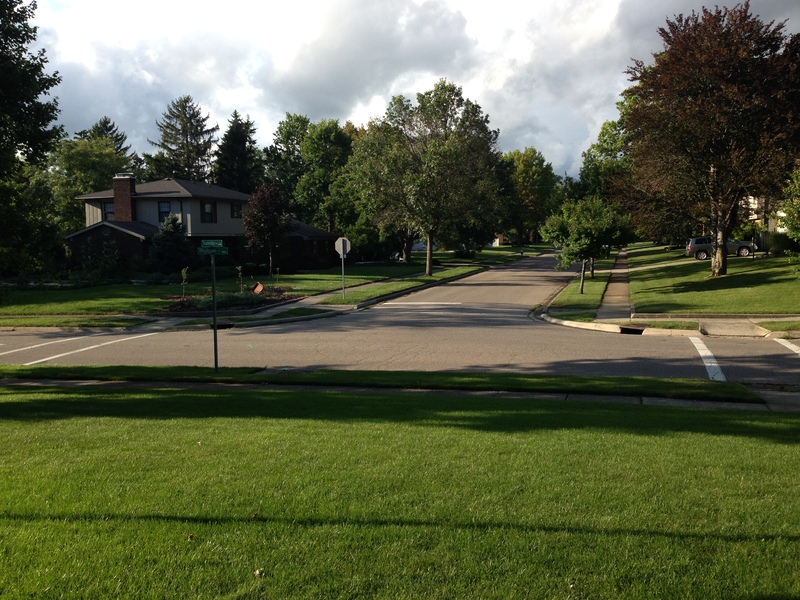 Next move to Huff’s permit flat. Fished there but conditions were tougher. Ralph caught his first permit, a 20 pound fish. They next moved to the Content Keys. Right off the bat they saw some baby tarpon. On his first cast, Mitchie caught in 8 pound tarpon. No other tarpon caught. As they were gathering their wits, a school of bonefish came up a channel of deeper water and began tailing on the flat. After these fish blew, they looked around and were surrounded by bonefish. Huff didn’t know where to pole next. At least 1,000 bonefish 200 casts. Lee caught two bonefish and had three break off. Ralph didn’t catch any. Both of them were terribly frustrated but excited at the same time. We had the fishing of a lifetime. A total of 36 fish. We each caught 12. Ralph: 11 bonefish – 1 permit; Lee: 11 bonefish – 1 Tarpon; Steve: 8 bonefish – 4 permit. A year later, our tournament had grown to six anglers who fished for four days. Our guides were Steve Huff, Harry Spear, and José Wejebe, the now deceased host of the television broadcast, The Spanish Fly. In four days, we caught 42 bonefish and lost 8. From that point forward, there was a steady decline in the number of bonefish we caught with the exception of 2004. 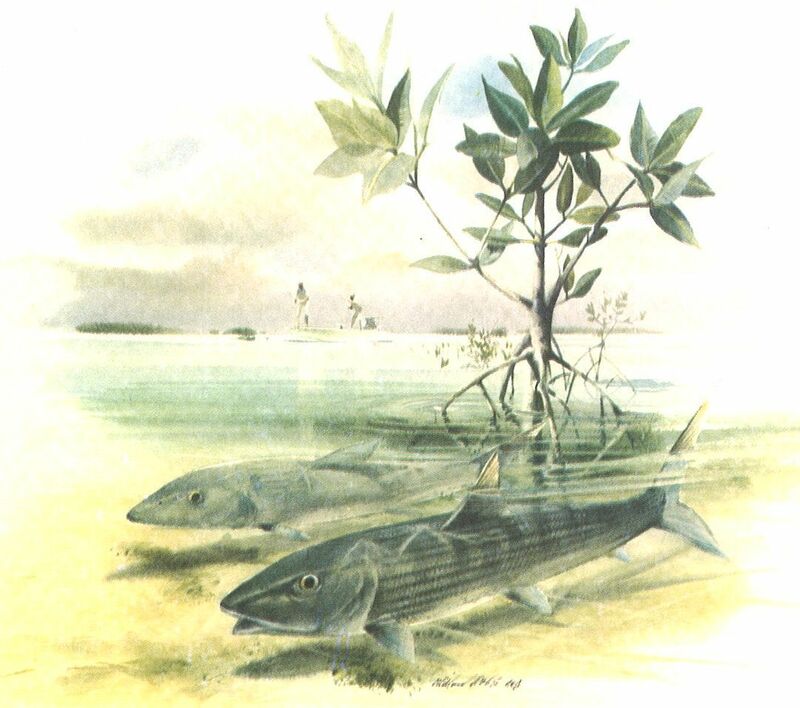 In 2004, six anglers in five days fishing with Steve Huff, Dustin Huff and Dale Perez caught 24 bonefish. By 2010, that number had been cut in half to 12 and in our last visit to the Keys six anglers in five days caught three bonefish. Of course, some readers might reasonably wonder whether the anglers were not very good. Indeed, several of the participants changed as the years rolled on. However, I offer this up for your consideration. Below is a beautiful bonefish caught by good friend, Frank Catchpole who passed away several years ago. Frank was a mainstay in our group in the early years. 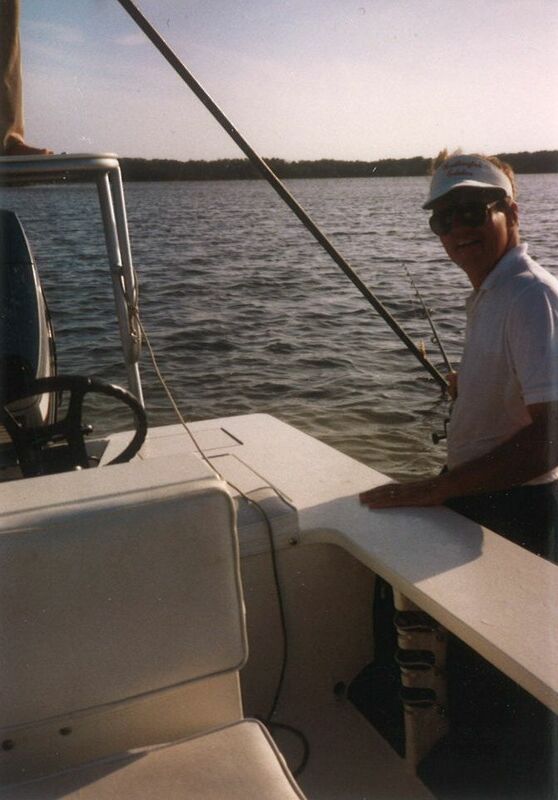 The bonefish which he holds in the photograph was caught on Ted and Mary’s flat outside of Marathon, Florida. Ted and Mary’s was a go to spot when bad weather descended on the Keys. When the wind was out of the North and there was very little sun or it was raining, our guides would often head to this dependable flat. 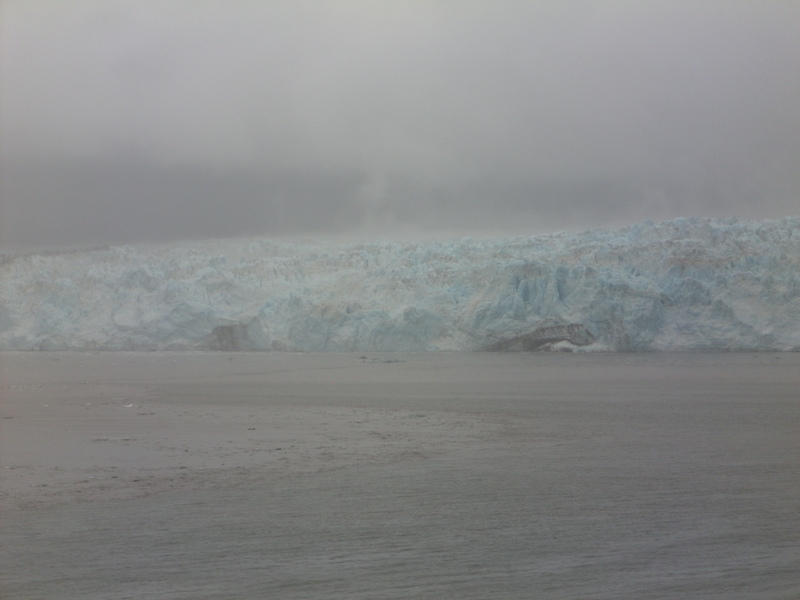 Below is a journal note from a day spent in terrible weather on Ted and Mary’s with Capt. Steve Huff. November 6, 2001. Great start! Frank and Chuck fished with Steve. Stayed at Marathon the whole day and water was a little muddy. Frank caught a 13 and 7/8 pound bonefish right off the bat. They caught 10 bones, Chuck 6 and Frank 4. They lost three. Chuck caught a 5, 6, 7, 7, 8, and 10 pound bonefish. Frank caught a 13,8,8, and 6 pound bonefish. I tell this story because I admit my fishing partners and I are amateur enthusiasts in every sense of the word. However, I can say with utmost confidence that not only are Steve and Dustin Huff unbelievably good fishing guides, they are equally good fisherman. In August 2011, I went by myself to the Keys to fly fish for permit. I was not successful in catching one but that’s a story for another day. The day before I arrived, Dustin Huff and Steve Huff, father and son, took turns poling every flat Oceanside of Marathon, Florida, including Ted and Mary’s, High School Flat, and around the corner to what is known as Boot Key. They spent the better part of six hours poking around looking for a single bonefish. They caught nothing. They saw nothing. If there was a bonefish around they would have caught it. 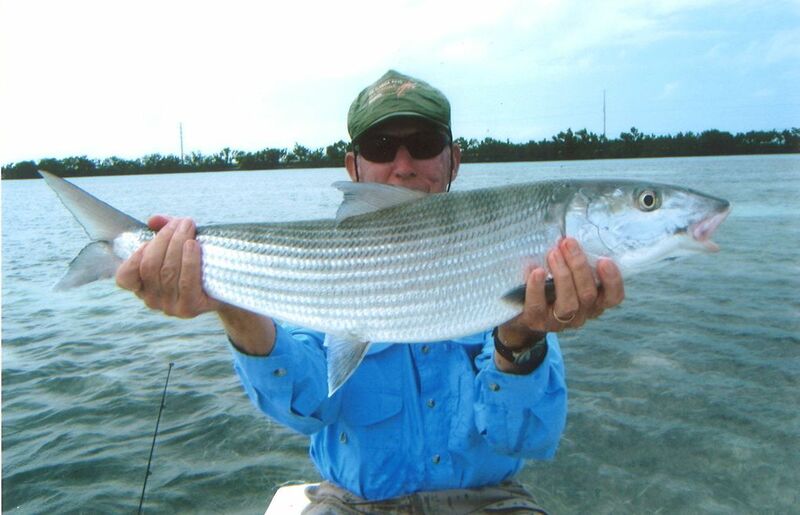 During our trip of 2011, 6 anglers fished for 5 days and we caught 3 bonefish. This was the last year for the trip. For over 20 years, at the end of each trip, I would ask Steve Huff whether he would be willing to take us fishing again the next year. The question was typically, “same place, same dates next year?” For 20 years the answer was “yes”. I spent the last day of the 2011 trip fishing Key Largo where in years past squadrons of bonefish would stream down the edge of Key Largo. 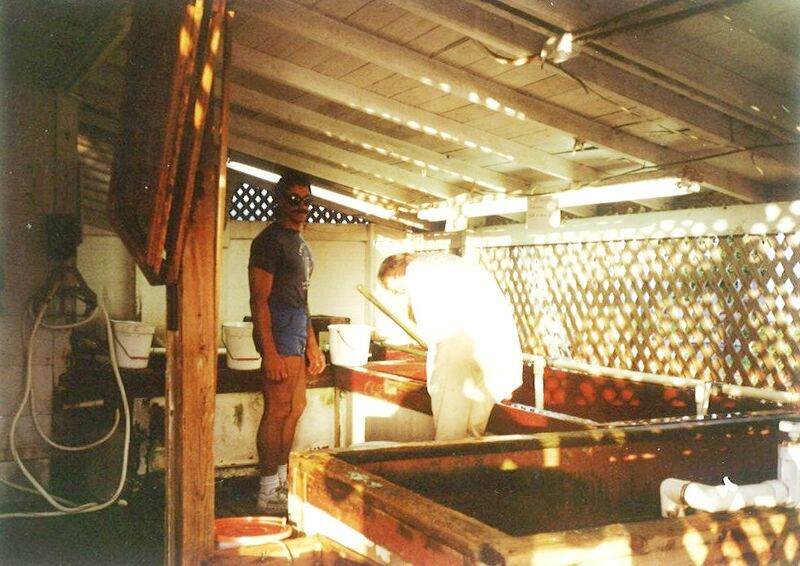 Or after a long run towards Miami, we would encounter one school after another kicking up mud as the bones feasted in Biscayne Bay. 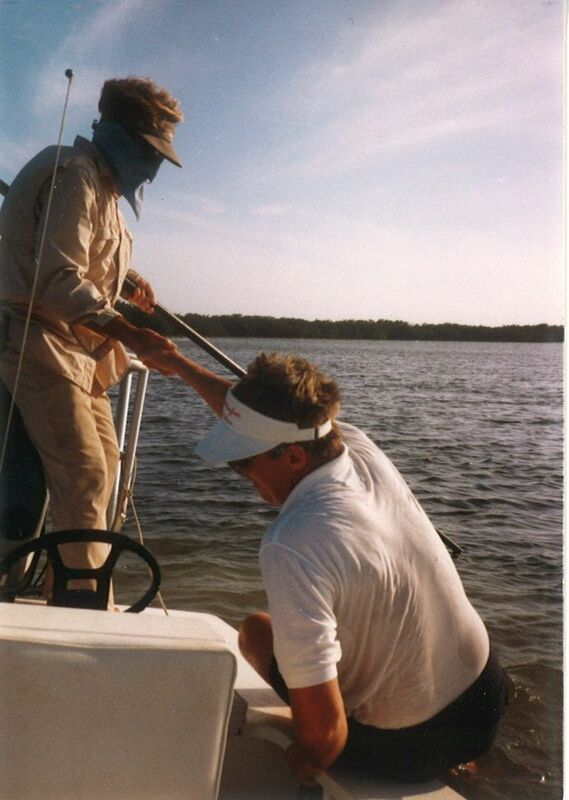 Or at the south end of a Key Largo trip, we would set up the skiff on the outside edge of the huge expanse of Newport News flat as hordes of feeding bonefish would stream off the flat on a falling tide pushing wakes that resembled a tight flock of migrating geese. On this last date for our group in the Keys, good friend, Jim Milam and I fished all of those flats and many others in between. Huff poled his tail off. For the day, we saw one group of two cruising bonefish which were swimming directly at the boat. For me, having one cast in a day makes that cast very difficult. I am just not that good. Needless to say, my cast was terrible and the fish took off. A fishing guide takes the success of his anglers very personally. A catch of an angler on their skiff is their fish. Our guides always apologized when we had a rough day as if our ineptitude or a lack of fish was their fault. If they see no fish, they cannot exercise their laser like vision, poling power, coaching prowess or the infinite number of other skills which empower them in helping their anglers make vivid memories. When a flats guide shares the news of a days’ fishing with their fellow guides, the question is always – “how did you do?” When the answer is nothing too often, something has to change. In 2012, we went with Steve Huff to the Everglades to fish for snook because the Keys bonefish are most certainly in peril. In my next post, I will offer my opinion on the cause of the peril to the bonefishing in the Keys.